The project network “LowEx Concepts for the Heat Supply of Existing Multi-Family Houses (LowEx-Bestand)“ comprehensively analyses, develops and demonstrates solutions for the application of electric and gas driven heat pumps, heat transfer systems and ventilation systems in energetically renovated multi-family houses in close cooperation with business enterprises from all relevant sectors. The project´s main objective is to comprehensively develop LowEx (low exergy) concepts and systems for existing buildings, increase their profitability, ensure their quality of operation and thus contribute to an accelerated launch and market diffusion. All in all, the project is intended to make a significant contribution to achieving the climate policy goals concerning the heat supply of the building sector. The thematic project network consists of a tripartite structure: analysis, technology and demonstration. 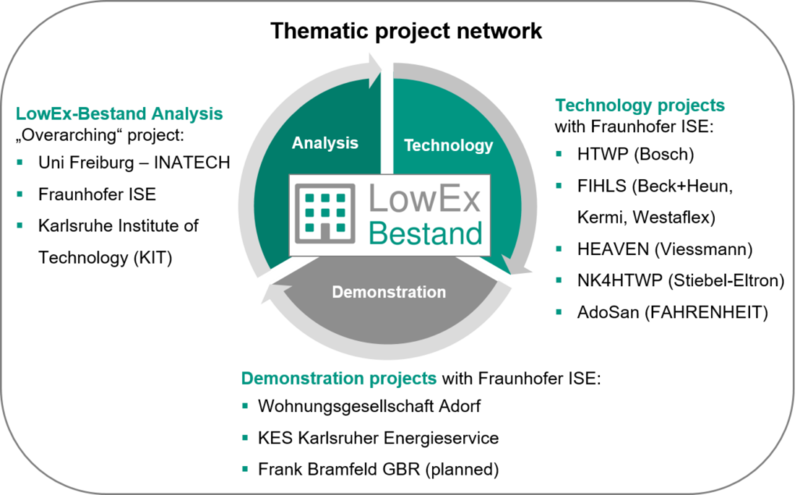 The overarching research project “LowEx-Bestand Analysis” represents the scientific und communicative link of all activities. 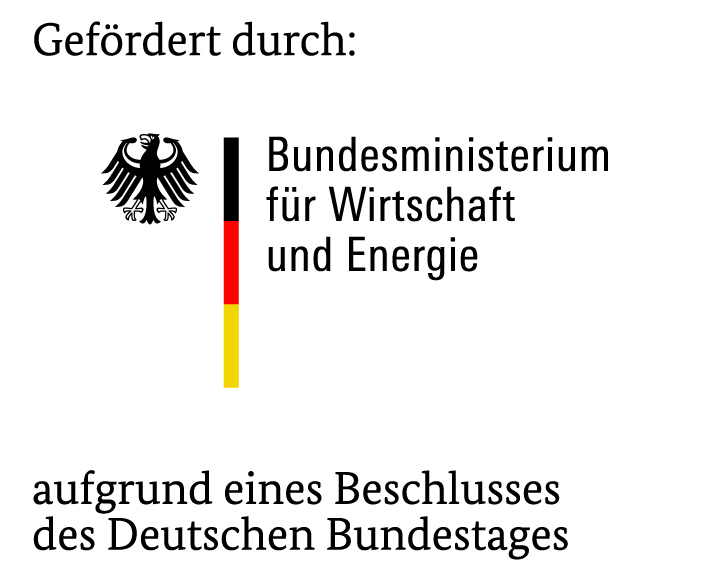 Partners in this project are the Department of Sustainable Systems Engineering (INATECH) at the University of Freiburg, the Karlsruhe Institute of Technology (KIT) and the Fraunhofer Institute for Solar Energy Systems ISE. Within technology projects, the listed companies develop new LowEx components and systems for renovated multi-family buildings. In the demonstration projects, housing corporations together with Fraunhofer ISE demonstrate the components and systems developed within the technology projects by applying them in exemplary renovation projects. The close data and information exchange between the three pillars – analysis, technology and demonstration – makes the added value of the network.